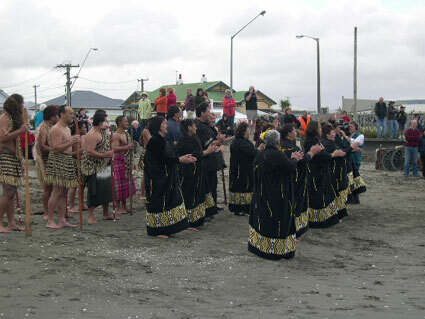 Well over 300 people came from all over New Zealand to attend the Anniversary Service taken by The Right Reverend Dr. Thomas J. Brown, Bishop of Wellington. What we have gone through, not only here in parts of the Hutt valley but also beyond us, in the vast wetlands of Manawatu, North Wairarapa and Rangitikei has been traumatic. As I toured around the region which comprises the diocese of Wellington, I recalled the excerpt from the book , Guardian of the Valley, read to us at the book launch by the author, of that horrendous and tragic flood that wrecked the valley floor and with it, people’s lives. And that it was in that time, that environment, that this church was built. Witnessing this current tragedy, I felt an affinity with those people who faced such hardships. I felt our common vulnerability when it comes to the forces of nature which even with our best endeavors to prepare against, still torment us. And I felt that just as I have seen courage in the face of heartbreak this past week, we can acknowledge that same element of our humanity all those years ago. Today then is a time to honour the builders of this our first church – the same people who displayed such a spirit of determination and courage, and who would want us to know that those attributes were given by the God who we give glory to today, in the name of His son Christ – the very name of this church. And those faithful families some of who are represented here today by descendants, set about to honour the request made by God. We can therefore give thanks for their efforts, accepting the effort was in response to God’s call to build a sanctuary. And we can also give thanks today for the efforts of those whose commitment meant the church was rebuilt after that devastating fire in 1991. “You’re here to be light, bringing out the God-colors in the world. God is not a secret to be kept. We’re going public with this, as public as a city on a hill. And that is our queue as we enjoy this occasion, this day and as we get on with our lives. To hold to a faith in God that can be feed in churches such as this one, but should expressed in the way we serve out in the community – with a desire to care for others, as we hope they would care for us. The call is for us to be servants, generous with our lives and in the serving, showing what compassion means, and in showing that being leaders of the community. Thank you, Christ Church, Guardian of the Valley, a place of sanctuary for countless people, and a symbol to inspire us in our good and faithful endeavours. Your Excellency, The Honourable Dame Silvia Cartwright, The Right Revered Dr Thomas Brown and Mrs BrownArchdeacon, Judy Hardie, Mayor John Terris and Mrs Terris, Society members and committee, ladies and gentlemen. For those of you who do not know me I am Anne Erwin, President of Christ Church Preservation Society. And it is my great pleasure to welcome you all to the 150th Anniversary Service of little Christ Church. Just before I go any further I would like to cover a few minor points ?ã Firstly after Her Excellency has finished her speech and the official party leave the church I would ask everyone to move into the grounds where you are all invited to stay for a nibble and a celebratory glass of wine or juice. At around 12.30 we will ring the church bell to announce the commencement of lunch. Those who are have booked for a finger food lunch pleas make your way to the marquee where it will be served after the Bishop has said Grace. It is so encouraging to have such a large crowd here today and I know many of you have travelled large distances to get here. Considering the dreadful conditions of the last week this is even more appreciated. The weather of the past week is a real reminder of the trails and tribulations the settlers had to put up with. The recent floods have been described as the worst in 100 years and for those who have suffered recently it has been a terrible experience. But this week also demonstrates the harsh conditions the settlers had to contend with ?ã without the support of ambulances, fire engines or helicopters, or modern roads. Preparing for a sesquicentennial certainly provides the focus to get things done. In the last year or so the Preservation Society committee has achieved a great deal. The grounds have had a major make over and I hope you agree that they look splendid. The damaged headstones and graves are nearly all repaired and tidied, the original pathway has been extended and a garden seat installed, floodlighting – which already lit the church – now highlights the trees, down to the railway where two lamp posts provide added security and a magical atmosphere. New fencing and garden replanting complete the exterior and new carpet has been laid in the church. We have had several of the local streets which were named after settlers – marked to record their names. We have published a fairly comprehensive history of Christ Church – which was successfully launched at a function jointly hosted with, and at the New Zealand Historic Places Trust. But most importantly we have gained many new committed members. In these endeavours I have been very fortunate in having a hugely enthusiastic and supportive committee and my thanks go to them for all we have achieved. The church and its grounds, surrounded by industrial buildings and storage sheds, is a small oasis ?ãin a busy city. And the grounds are used regularly by locals, and visitors, as a place of peace and solitude to visit and rest. The church is now a regular venue for weddings and other services. I first came to this church as a little child who stood not much taller than the pews. Yet even then there seemed to be something special about the place. I would watch the sun dappling through the windows onto the patina of the wood and imagine the settlers and how they must have dressed and behaved so many years before. In the four years that I have been President I have been privileged to be part of the lives of so many dedicated and committed people. In my tenure I have received hundreds of phone calls and emails from people from all around NZ. People whose families have been associated with this humble church yet hold it such high esteem. There is no doubt that this is a remarkable building, not just for its age, nor its simple but pleasing proportions, but for the place it holds in the hearts of so many people – and for such a long time. The explanation I see for the commitment with which the families still hold this church in is that their forebears came with virtually nothing, leaving family and friends behind, to erect this church as the centre of their universe. It was their anchor and for those of us still associated with Christ Church it represents our roots – the beginning of a new life – a chance to fulfil the dreams and ambitions of the settlers, and our own. It is a building built on faith and hope and a great inspiration for us to move on with. For this church is more than a shrine to the settlers – it is also a modern burial place – many of our parents, brothers, sisters and children are buried here. And so it holds living memories and cherished ones. My own parents are here – and so it lives in my life – and is most special to me. And I know other share this intense interest in Christ Church and I sincerely hope it will survie with such affection for another 150 years. And the last thing I want to say before introducing her Excellency is that please do record you family stories, the interesting, humorous, sad and poignant stories, but please too record your own. The settlers did not think their lives were of any moment but now they are of course, and today’s stories are the history we leave to future generations. I would now like to introduce to you Her Excellency, The Honourable Dame Silvia Cartwright – Dame Silvia. Tena koutou. 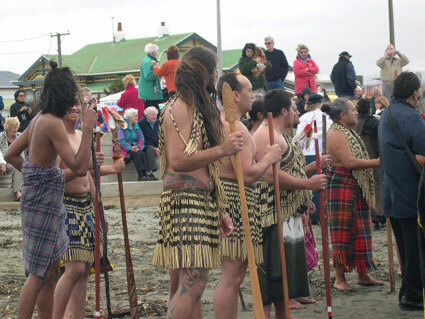 Ko te mea tuatahi me mihi ake ki te kai whakaora nga manuhiri tuarangi, nga rangatira ma, nga iwi o te motu, nga mihi mahana ki a koutou katoa. Greetings. I acknowledge first the God of life. 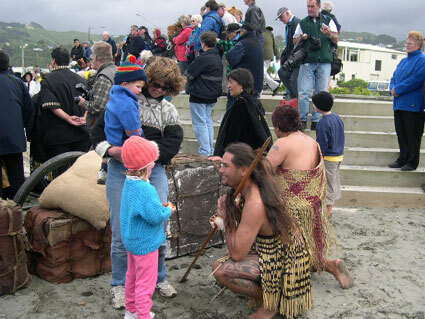 May I then greet visitors from afar, respected guests, people from New Zealand. The Right Reverend Dr Thomas Brown, Bishop of Wellington; Archdeacon Judy Hardie; Anne Erwin, President of the Christ Church Preservation Society; the Committee of the Christ Church Preservation Society; Your worship Mayor John Terris; ladies and gentlemen, boys and girls. It is a great honour to be here today on this very important and joyous occasion. We are in a special place indeed: one of the oldest churches in its original condition in New Zealand. No doubt many of you will be familiar with the wonderful history of this church. Built by 32 pioneer families from the Taita area in 1853, the first service was held on New Year’s Day 1854. Around 100 years later, when there was a threat to the church through modern development, the Preservation Society was formed and it is this body that has since taken responsibility for the care and maintenance of the church and its graveyard. It was, in fact, this fight to retain the historic church in its original location which resulted in government recognising the need to protect the nation’s heritage. In this way, it has given a remarkable gift to the rest of the nation. What a wonderful job the Society is doing. 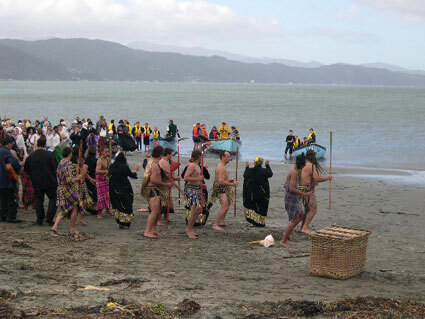 My warmest congratulations to all those who have direct or indirect involvement in looking after this precious place which is such an important part of this community. The church’s long and colourful history has made it a magnet for descendants of those buried here and for visitors from all around New Zealand and overseas. There is a wonderful feeling of serenity in this building. In places like these, we seek and receive relief and consolation from the things that worry and hurt us. Many people in the region and further afield have suffered greatly over the past week through ravaging floodwaters. This gathering today enables each one of us to reflect on ways we can help those who are suffering the devastation of home, land and income. I would like to take this opportunity to remind all of us that in times of need, communities have to work together. This church exemplifies what can be achieved when people join forces in a common cause. Thank you all for coming here today on this historic occasion. May the Church remain a focal point for all its parishioners from around the region and throughout the country, and for all the local community, for many years to come. Stories of the settlers recounted- professional storyteller Margaret Copland will recount the tales of the Taita pioneers. Peter Wedde – With a degree in Ancient History, Asian History and English Peter worked for Christies in London and also had a stall on Portobello Road. He now owns and antique shop in Kelburn. He is an expert in vintage rage trade items like 1920 flapper dresses, bowler hats and colonial furniture and bric a brac. Joy Dommett – Joy is a silver a jewellery expert, having worked for Walker & Hall for 25 years and also for Southerbys auction. house. Jane Bellhouse – Jane has managed one of Wellington’s foremost art galleries and is a expert in NZ paintings and early pottery. Diana Fulton – Diana is an expert in porcelain (particularly pre-1830), glass and enamels. She has worked in an antique shop and is a avid collector. “Guardian of the Valley – Christ Church, the story of Wellington’s Oldest Church” – Written by Miles Erwin. The book is available in limited numbers. Price will be $39.95 (but for members it will be reduced to $25). Plus $5 postage and packaging. A commemorative 150th Life Membership certificate will be given to all those who join as life members of the Society during the 150th celebration year. The cost of life membership will be held at $150 for this special year – 2004. 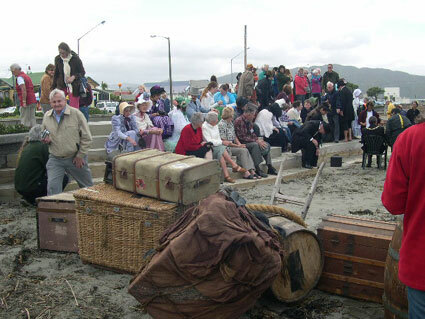 Re-enactment of the settlers landing on the Petone foreshore.